D.J. Caruso"s The Disappointments Room (2016) movie trailer looks thrilling and entertaining for the new film releasing in movie theaters on September 9, 2016. Kate Beckinsale stars as the hottie with blonde hair who is tempted by what is in the locked room not on the floor plans. Kate Beckinsale, Lucas Till, and Gerald McRaney star in The Disappointments Room. 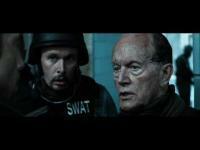 The film stars Kate Beckinsale, Mel Raido, with Gerald McRaney and Lucas Till and directed by D.J. Caruso. The film is written by Wentworth Miller (Prison Break) and D.J. Caruso. THE DISAPPOINTMENTS ROOM premieres in theaters nationwide on September 9th, 2016. In this psychological thriller from the director of Eagle Eye and Disturbia, Dana and David move from Brooklyn to a once-grand southern mansion with their 5 year old son looking for a fresh start. But Dana"s discovery of a secret room unleashes unexplainable events that test her sanity and slowly reveal the home"s terrifying past. Kate Beckinsale (Underworld, Total Recall), Mel Raido (Legend), with Gerald McRaney (Focus, The Best of Me) and Lucas Till (X-Men: Apocalypse, TV"s "MacGyver") round out D.J. Caruso"s (Disturbia, Eagle Eye) all-star cast. When a family moves into their rural dream house, they accidentally unlock a hidden room in the attic and unleash unprecedented horror. The architect Dana, her husband David and their son Lucas move to an isolated manor in the countryside seeking a restart of their lives after the death of their baby daughter in a tragic accident. Dana overhears noises in the attic and finds a hidden locked room. Soon she finds the keys and is haunted by the evil spirit of an old man. She researches and learns that old rural houses had disappointments rooms where disabled children were locked to avoid embarrassment to the traditional families. Further, the spirits of the original owner of the house, Judge Blacker, and his daughter are still trapped in the house. However, only Dana is capable to see and contact them and David believes she is delusional. When Judge Blacker threatens the life of Lucas, Dana tries to protect him but she is not sure of what is reality or daydream.